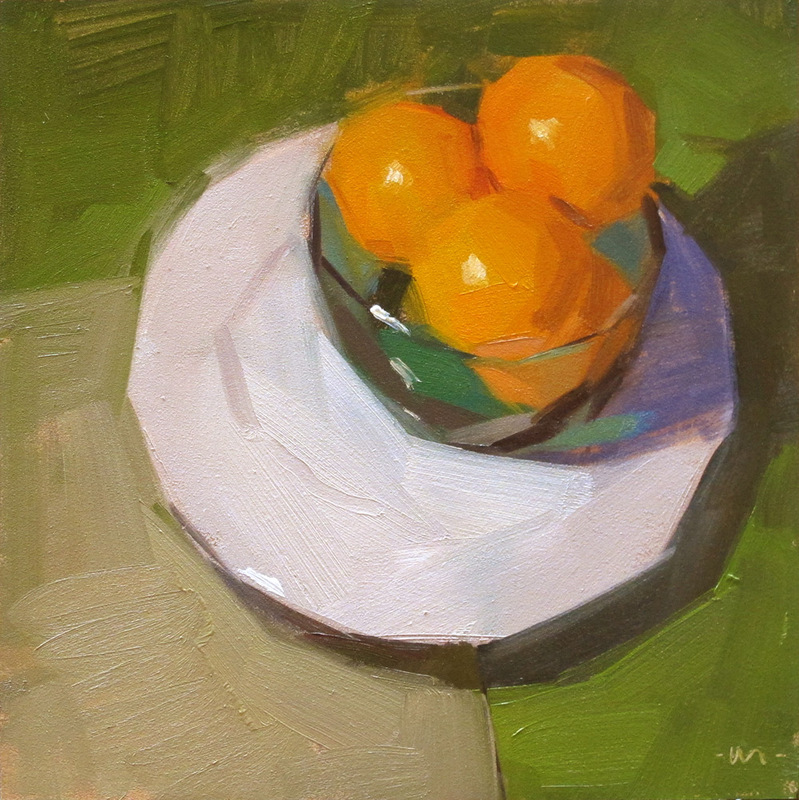 Carol Marine's Painting a Day: Orange You Gonna Ask? Last week I had a lot of trouble with compositions. That's why I've been posting some old work. Nothing was seeming to gel and I was getting more and more frustrated. It happens! I have learned to accept it as part of the process, though the acceptance comes and goes too. : ) Anyway, I did this painting as I was clawing my way back out of the valley of doom. It seems a little floaty to me, but there is a simplicity to it that I like. Love love love the purple! Thanks for the encouragement. I just painted one that came out looking like a cheap Christmas card. Bleahh! I love this one, Carol! I think I am drawn to simplicity as well--maybe because I have so much clutter in my life?? Anyway, love the colors too. Beautiful, as always! I don't think it is floaty. Love the greens, and the composition. 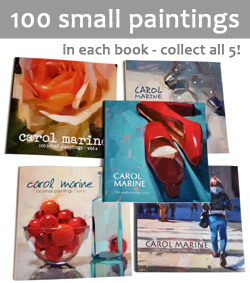 We are proud owners of one of your small works but I'm writing to express my support with regard to your striving to produce good compositions - it is a constant quest. Soldier on, marine!